Review: This “charming boy/girl duet” LW-50 was introduced by Louise Groody and John Barker in the Broadway musical comedy No, No, Nanette. 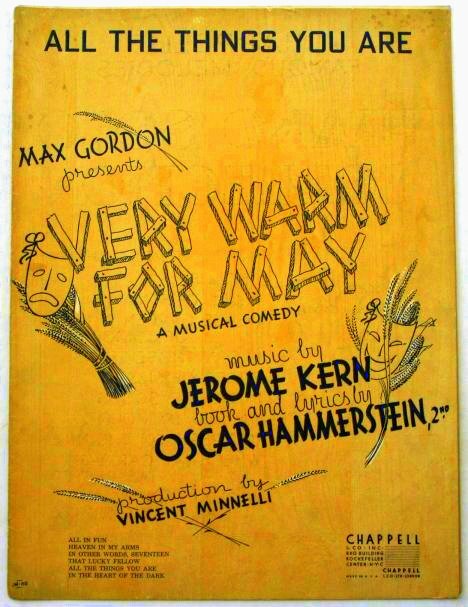 JA-189 The score was generally regarded as the best of composer Vincent Youman’s short career. He died from tuberculosis at 48. LW-50 Meanwhile, lyricist Irving Caesar “demonstrates all the hallmarks of Tin Pan Alley craftsmanship, artfully simple and pleasingly full of rhymes and alliterations.” LW-50 He was “the archetypical Tin Pan Alley cigar chomping, wisecracking showman” LW-50 with more than a 1000 songs to his name upon his death at age 101 in 1996.